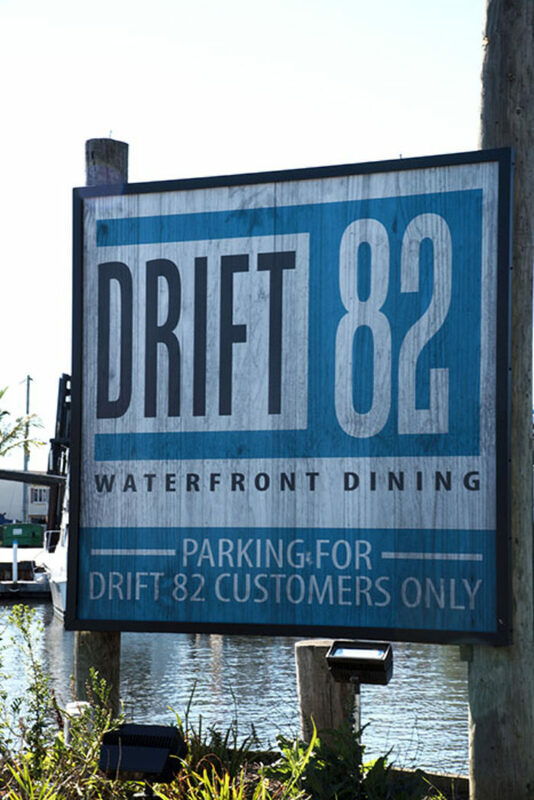 Drift 82 - J Signs Inc. 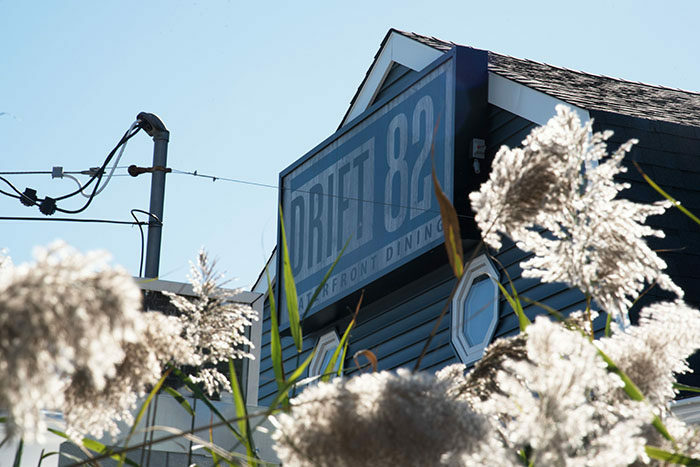 Drift 82 is located on the South Shore of Long Island in the burgeoning town of Patchogue right on the Patchogue river which leads to the mouth of The Great South Bay. 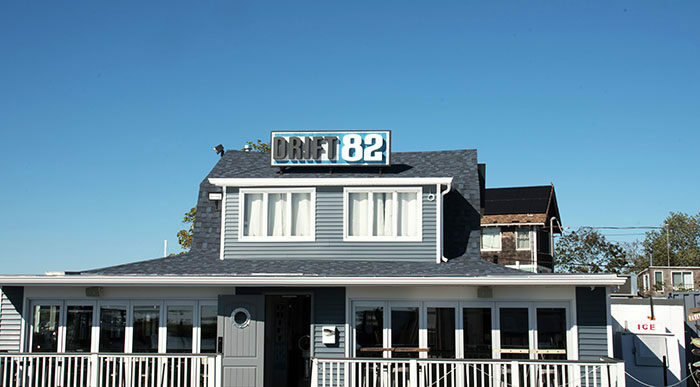 Ferries from Fire Island’s Davis Park pull in only steps away from Drift 82’s doors. 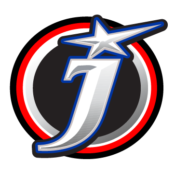 J Signs provided all exterior and interior signage. 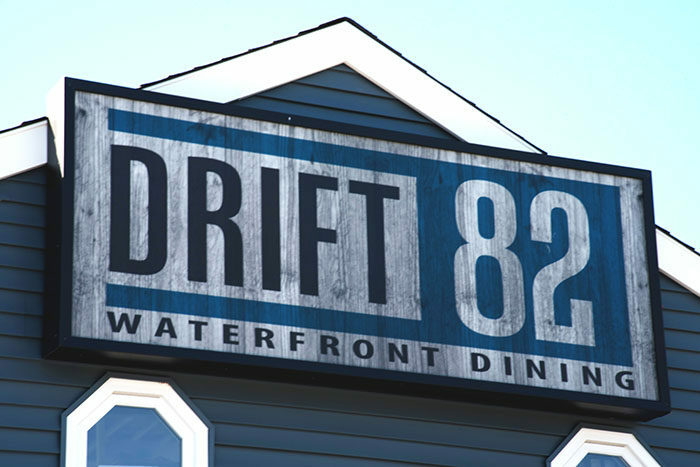 Custom cut out letters and distressed wood backdrops.